One Drop Design There are 13 products. The 2016 edition of the Benchmark line has reached Yoyo Village! The 'O' style has that classic smooth organic soul. For lovers of that old school rounded feel with all the modern performance benefits. Take a look below for more information on the Benchmark Series. 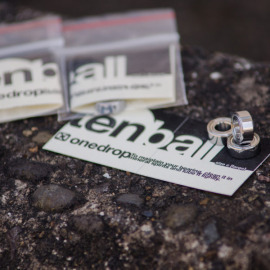 The 10 Ball Bearing by One Drop features 10 balls inside the bearing (instead of the standard 8), promoting longer spin times. It's also become famous for it's smooth play and quieter spins. This is the bearing that comes standard in most One Drop yo-yos, so now you can buy extras to put in your other throws too! The Par Avion is a BIG yo-yo, the largest One Drop have ever made. It's one of three yo-yos that OneDrop named as a result of how it platys - in the case 'Par Avion' means 'By Aeroplane' due to it's fantastic floaty feel. A unique throw, tons of fun and something players are sure to enjoy!